1. Mix and Match (in the same color palette) - The couple choose the color, it will create a dream wedding for them, but they realize that not all girls look good with the same dress. 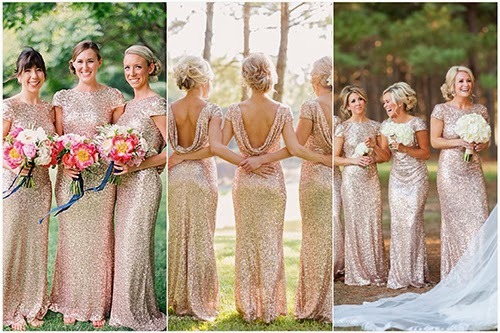 We often see brides allowing their bridesmaids the freedom to choose the style they want but in the specified wedding color. 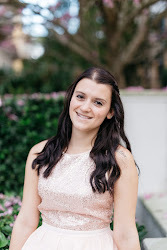 Here is a solution where every bridesmaid gets to be in a style that she is comfortable with, so everyone can pose for photos with confidence on the Big Day. 2. Sparkles! 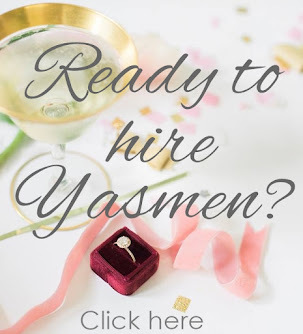 - Spice up the bridal party by adding some bling-bling to the dress. The girls will sparkle through the wedding venue, completing the picture of an enchanted wedding. 3. 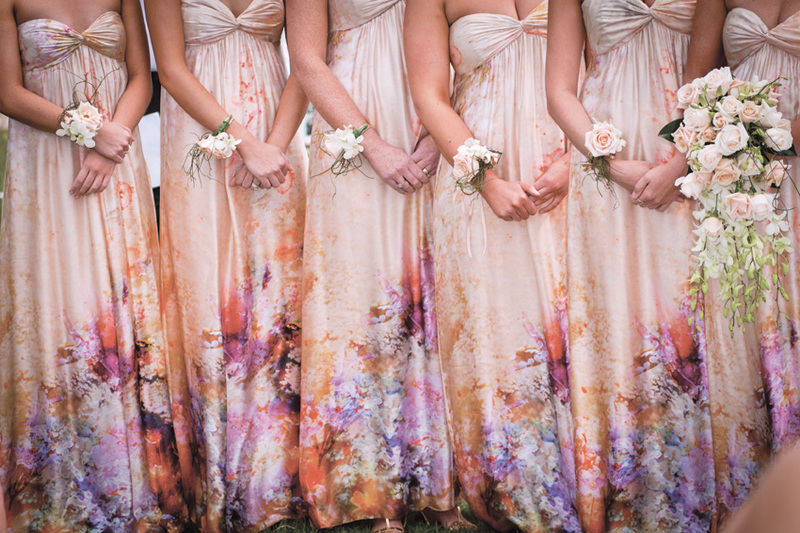 Floral - Floral printed bridesmaid dresses transform the entire bridal party into forest fairies. It is oh-so-romantic, and we see a lot of brides opting for this rather than a specific color. 4. Polka Dots - Polka dots suggest joy and whimsy. The uneven dots pictured below are less bold, more high fashion even sporting stripes at the same time. 5. Stripes - Bold and beautiful, stripes can be large or small in scale but always add clean precision to a look. A word of caution here. 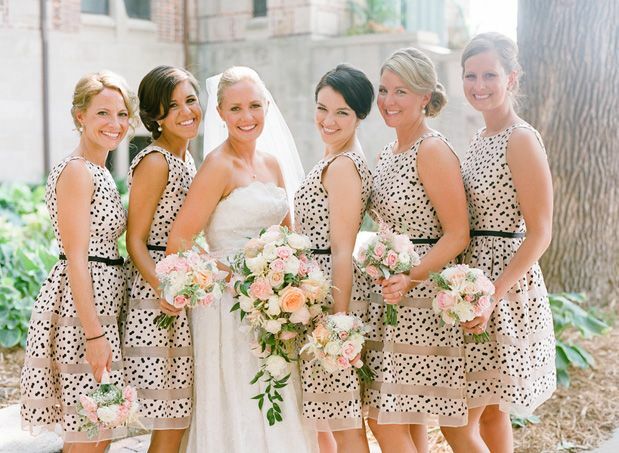 Not all bridesmaids can carry stripes. Petite and curvier figures would go better in thinner, smaller stripe patterns.